Euro is still consolidating, but may yet start new descending movement. 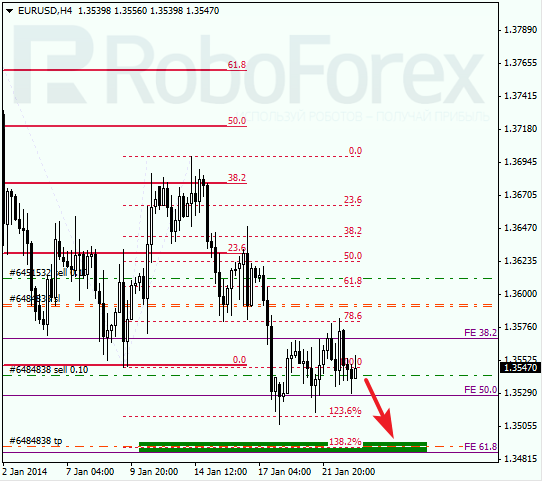 Main target is still in lower area close to 1.3490, where there are several fibo-levels. Possibly, price may break local minimum during the day. At H1 chart we can see, that market tested local correctional level of 50% one more time and rebounded from it again. According to analysis of temporary fibo-zones, predicted targets may be reached during the next 24 hours. Franc is also moving sideways so far; upper target area is formed by three fibo-levels. If later price rebounds from it, pair may start new and more significant correction. 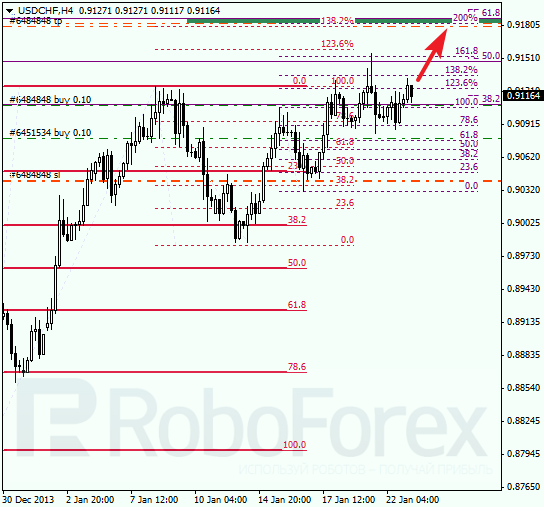 As we can see at H1 chart, yesterday market rebounded from level of 50% again. I’m keeping two buy orders with target near upper levels. According to analysis of temporary fibo-zones, bulls may reach them by Friday.